Ever wonder why Americans give up their financial privacy so easily? Slowly condition a population over a generation or two to believe it's normal to let government, quasi-government agencies, and private investigator–types have access to citizens' money and banking information — and privacy becomes obsolete. Throw in a numerical identifier that nearly everyone has — the good old Social Security Number — and a national money-tracking system is created. And the most sophisticated and otherwise security-conscious individuals roll over and accept it like timid little puppy dogs. Why? Because they lack the information, assertiveness, and persistence necessary to create a banking and asset privacy plan. This article is about doing just that — establishing a financial privacy plan for your money and other liquid assets. Once you have a banking privacy plan in place, you'll be able to effectively eliminate the threat of theft of your money by identity thieves and others who may be attempting to find your cash. Why should you be so concerned about your financial privacy? Since identity theft is the fastest-growing fraud crime of the century, preparation to conceal business and personal money is a prudent move. In the event you or your business become the successful target of an identity thief, you can expect an average personal loss of $2,400 and an average business cost of over $10,000 in out-of-pocket expenses to clean up the mess (Hall, 2006). What about intrusions from your own government? Violation of financial privacy is a necessary first step to gaining control over every business and individual (Hill, 1998). Would it not be best to have assets and money hidden and out of reach from everyone — government included — in order to avoid unlawful theft or seizures? Recently, a notable property seizure occurred, as FBI agents raided offices and seized property, equipment, and cash of Liberty Dollar maker, NORFED corporation. The seizure warrant — case 1:07-mj-100119-DLH — was issued and signed by U.S. Magistrate Judge Dennis L. Howell in Asheville, North Carolina, on November 9, 2007. Privacy advocate and author W. G. Hill warned us of the current trend and wrote: "In so-called western democracies, the state has increasingly granted itself the power to simply take from you whatever it desires" (Hill, 1998, Banking in Silence, p. 43). While Hill advocated banking secrecy through the use of offshore accounts and jurisdictions primarily, he acknowledged the increasing difficulty of financial privacy worldwide in his book on the subject, Banking in Silence. Financial Privacy in the U.S.A. Readers may be surprised to learn that banking privacy can be accomplished in the U.S.A. In fact, if you reside in the states, you'll be best served in most cases by keeping your funds in the country. The exceptions are high-net-worth individuals and those who spend substantial time out of the U.S.A.
Offshore bank accounts and assets may be vulnerable to discovery and seizure, and few jurisdictions offer complete banking secrecy. Mutual Legal Assistance Treaties (MLAT) between the U.S.A. and forty-eight countries enable the exchange of financial information without "probable cause" and with only "reasonable suspicion" (Barber, 2007). As you work, live, purchase goods and services, and make investments in the U.S., you need immediate access to your funds and timely clearance of negotiable instruments. Otherwise, you face lengthy hold times on deposits — sometimes in excess of thirty days for offshore banks, not to mention the withdrawal restrictions on many foreign accounts. Years ago, the most private bank account known to privacy seekers was the Austrian Sparbuch account — an anonymous passbook type of account with only an associated password as an identifier. This bearer account belonged to whoever held it and could recite the password to the banking official. This account is no longer available through Austrian banks. Numbered accounts previously offered by the Swiss banks are also no longer offered. These two stalwarts of banking secrecy have gone by the wayside following pressure from outside forces — mainly the U.S. government. Today in the U.S.A., you, as a believer in freedom and privacy, can have your personal and business financial privacy once you gain the information and know what resources to use for privacy. Stop listening to the "talking heads" who tell you that your privacy has been taken from you or that you have to give it up in the name of national security. America has traditionally been a land of free people who have been entrepreneurs and innovators. Business men and women risk time and capital to produce products and services to supply the demands of the marketplace. Take advantage of what is available to you for your privacy needs and learn how to best utilize these resources to create a bulletproof "banking" privacy plan. The most secure way to "bank" anonymously is through the conversion of checks into cash within a system where funds are accessible and your personal and business information and location is known to as few people as possible. Check-cashing stores have become a growth industry within the United States of America, as demand soars for the clearance of checks by those illegally working in the country, banned bank customers, and others who choose these pseudo-banking operations as a means of turning checks into greenbacks. For the privacy seeker, check-cashing stores offer a way of cashing checks without the risk of storing money in a deposit account. Bank accounts and the associated taxpayer identification numbers and names have been stolen by identity thieves, liened by government agencies, and confiscated by investigators without proof that the account holder is liable for a debt. You won't run this risk as you cash your checks and carry your cash away from a check-cashing store. Certain check cashing stores will cash checks payable to a Trust, Limited Partnership, or Limited Liability Company. An individual manager or trustee will necessarily have to prove that he or she is authorized to receive money on behalf of the company or trust. Portions of the trust, partnership agreement, and articles of organization may have to be shown to the manager of the check-cashing store. Typically, the individual who is the trustee or manager of one of these entities will provide verification of his or her identity, a mailing address, and a telephone number. Social Security Numbers and Employer Identification Numbers are not necessary for "accounts" with certain stores, and these should not be given in order to preserve your privacy. Once you have opened an "account" with a check-cashing store, the most difficult part of your future business will be awaiting their verification of funds by telephone for those new checks you present for clearance. You must understand that privacy living is always more inconvenient and more expensive than the way the masses choose to live. So you will have to expend some extra time in order to accomplish your "banking secrecy" and expect to fork over three to six percent of each check for service fees as you cash your checks at your favorite check-cashing store. While those who issue checks to your business or trust will be aware of where the check was cashed, only your company name or trust's name will be known, and your name will not be revealed to them, as the check cashing store's name, bank, and account number will be stamped on the back of the check — not your name or account number. An illegible endorsement signature will assure your anonymity. Therefore, only your "banker" will be aware of who is authorized to receive money and sign on behalf of the LLC, partnership or trust. Once you accept the responsibility of taking charge of your cash, you will be faced with finding a suitable, private place to store the money. Safe deposit boxes have served this purpose for those desiring the utmost in privacy. However, bank safe deposit box holders risk unwanted intrusions by government agencies, disgruntled spouses, identity thieves, and others. Also, banker's hours do not allow for the "withdrawal" you may need for an unexpected expense or a weekend emergency. 24/7 Private Vaults, Las Vegas, Nevada (telephone: 702-948-5555) offers complete secrecy to their private vault clients at reasonable prices. Founded eight years ago by world-renowned privacy expert, radio talk show host, and businessman, Mr. Elliot, the company's private safe deposit boxes are available in a variety of sizes. You may choose to store U.S. dollars or foreign currency, gold, silver, rare coins, stock certificates, bonds, or anything of value in your private vault. Regardless of your storage requirements — small or huge — 24/7 Private Vaults will meet your business or individual demands. Totally private, more secure than any bank I've seen, and staffed with excellent personnel, this unique company is a privacy seeker's dream. Someone is available to take calls 24 hours a day, 7 days a week, 365 days a year. Knowledgeable, customer service–oriented staff answer the phone and field questions 24/7. The president of the company, Mr. Elliot, is available at certain times during the week. No identification, no Social Security Number or Employer Identification Number, address, telephone number — not even a name — is required to store your valuables and cash at 24/7 Private Vaults. Access to the customer's private vault is accomplished through iris recognition and a numerical code, anytime day or night. And your privacy is assured as the scanned recognition of the eye is encrypted once it enters the database, and it cannot be reproduced. Therefore, your "banking" privacy is guaranteed. Think it might be inconvenient to have your own private vault at a distance? Privacy has some concessions and is always more inconvenient and expensive than living an "average" lifestyle. However, with the proper information and knowledge of how to use those quality privacy resources available, neither you nor your business will suffer huge losses through theft of property or money. According to Mr. Elliot, president of 24/7 Private Vaults, no business or person's private vault is subject to seizure, because of the total absence of identity information required of customers. The company has no records of the names of individuals or business customers. I encourage you to call this reputable company (702-948-5555) and to stop in for a visit when you are in Las Vegas. 24/7 Private Vaults is located at 3110 East Sunset Road, Las Vegas, Nevada. Now that you have a totally private vault — more secure than any bank I have ever seen — you have essentially created a "current account" or a place to store your money once you have cashed your checks. Certain privacy seekers have explained that they convert excess cash into money orders, while separating the "check" portion from the proof of purchase and receipts. These safety measures make it possible to receive reimbursements if the money orders are lost or stolen. Then, once they are ready to make a trip to their private vault, either the money order itself or the cash from cashing it is stored in their private vault. Serious privacy advocates — especially those facing an emergency — believe the inconveniences associated with total privacy are a necessary and worthwhile trade-off for the guaranteed safety of their money. During my research for the book, Privacy Crisis; Identity Theft Prevention Plan and Guide to Anonymous Living (James Clark King, LLC, 2006), I discovered the most private and safest entity for holding liquid assets to be a Nevada Limited Partnership. In fact, at last check, a Nevada Limited Partnership has never been pierced to satisfy a judgment for an individual who is a limited partner in any Supreme Court case. Please consult your attorney for advice on limited partnerships for the purpose of holding investment funds. A Nevada Limited Partnership has been used successfully by privacy advocates who require privacy and asset protection. Liquid assets, including cash, stocks, bonds, and stock funds may be held in the partnership's name. An EIN and partnership information will be required by the brokerage firm when the limited partner and signer opens the account. Providing you're timely in the transfer of personal holdings to a properly structured Nevada Limited Partnership, I'm told by a reputable attorney that no one — not the government, your ex's attorney, not the taxman, no one — can legally seize it for the debt of a limited partner. And when you insist that Mr. Stockbroker titles the account in only the partnership name — a name totally unrelated to any partner — and equip the account with password protection, a company-name debit card without the signer's name on it, and other privacy precautions as described in my e-book, Privacy Crisis, you will have a private account for holding assets. Brokerage companies generally provide better customer service than do banks, in my opinion. They have even been known to accept checks for deposit payable to a partner, individually, into the limited partnership account — a service that no bank I know of will provide. Through the combined use of check-cashing stores, an anonymous private vault, and a Nevada limited partnership, one can accomplish personal and business financial privacy goals. Brokerage accounts may be suitable for holding liquid assets of a limited partnership. Individuals and businesses can accomplish high-level "banking" secrecy in the U.S.A. For in-depth information and details concerning all principles and concepts of financial privacy, refer to the e-book, Privacy Crisis, available from the publisher, James Clark King, LLC. Barber, Hoyt. 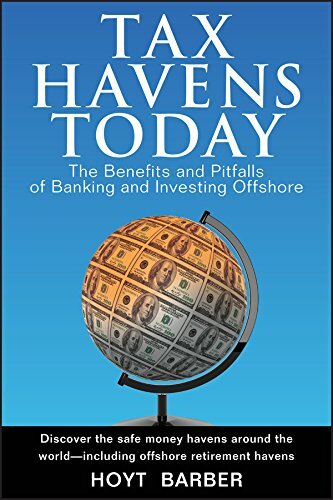 Tax Havens Today: The Benefits and Pitfalls of Banking and Investing Offshore, John Wiley & Sons, Inc., 2007. Hall, Grant. Privacy Crisis: Identity Theft Prevention Plan and Guide to Anonymous Living, James Clark King, LLC, 2006. Hill, W. G. Banking in Silence, Scope International Ltd., 1998. Grant Hall [send him mail] is the author of Privacy Crisis: Identity Theft Prevention Plan & Guide to Anonymous Living. Visit his website.